Acne is a very common skin problem that affects almost 75 percent of individuals between the ages 10 to 30. Although the condition is most prevalent among teens and young adults, it is by no means restricted to them alone. In fact, you can have acne even if you are in your 50s and to exacerbate the problem, the same treatments that worked for you in your teens may fail to yield results later in life. There are also adults who never had acne as youngsters but develop this skin condition in their 40s and 50s. 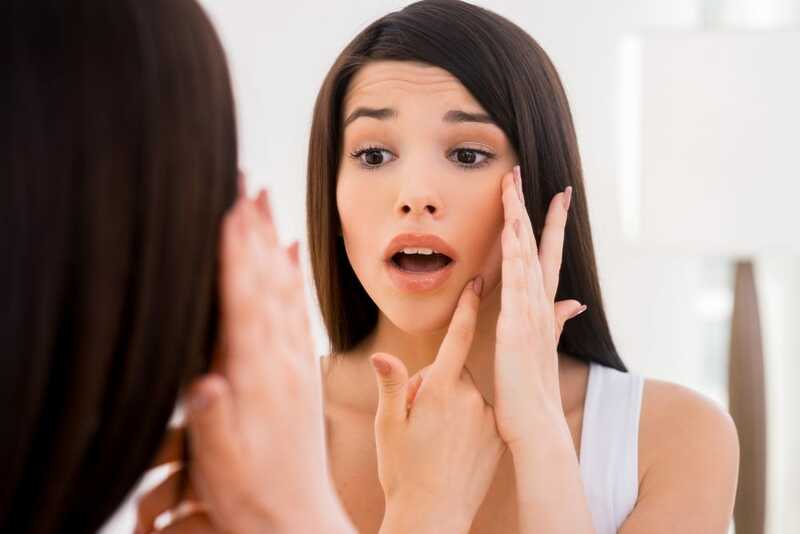 Hormonal changes: An imbalance in hormonal levels can cause acne in adults. This is one of the reasons why women often have acne breakouts during pregnancy or when they start or discontinue birth control medication. Medications: Adults may develop acne because of certain medications that they have been asked to take for other conditions. If your acne outbreak has occurred after you started a new course of medications, check with your physician to determine if is a typical side effect. At the Center for Dermatology and Laser Surgery we understand how painful and embarrassing adult acne can be. A serious outbreak can impair your social life significantly and damage your self-esteem. We have safe, effective solutions to this problem that can restore your confidence and give you back your normal life. For example, our photodynamic therapy is a treatment method that is very effective not just for adult acne but a host of other skin problems as well as various laser and light procedures, liquid peels are other treatments we offer which can restore your skin’s natural appearance, if acne is flaming or if a severe outbreak of acne has left scars behind. For more information about acne therapy or any dermatology service we provide, contact the Center for Dermatology and Laser Surgery to schedule an appointment with any of our providers. We have two offices conveniently located at St. Vincent Hospital in Portland as well as in Hillsboro, and we can be reached at 503-297-3440.